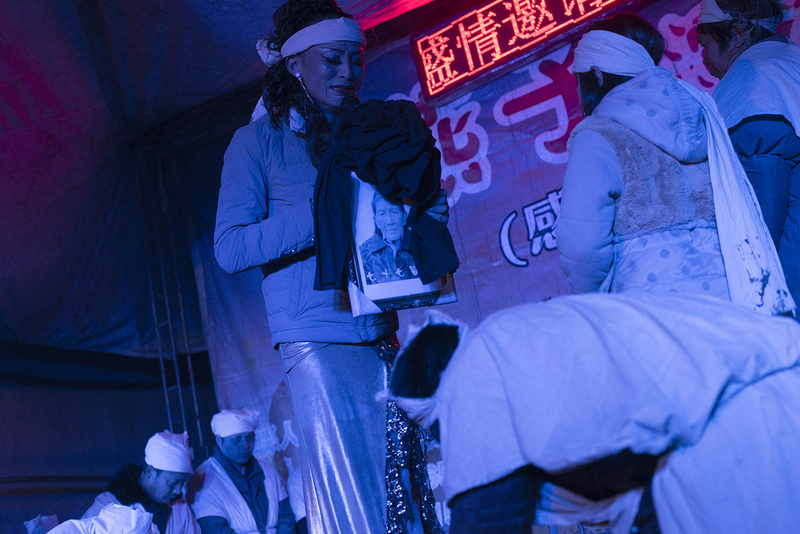 Family members kneel in front of a portrait of the departed as Liangzi hosts a funeral ceremony, April 10, 2014. 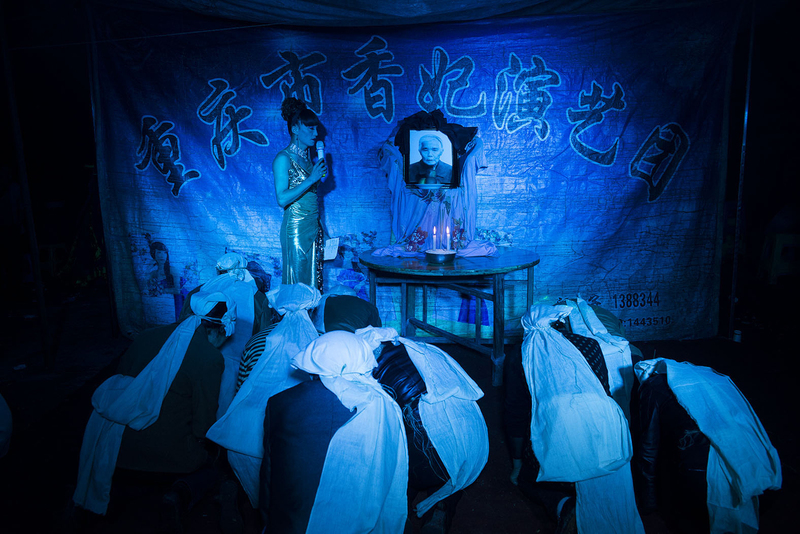 As a funeral performer, Liangzi is skilled at singing, dancing, and wailing. She is proud of her wailing skill, and she tries to cry naturally at every funeral. 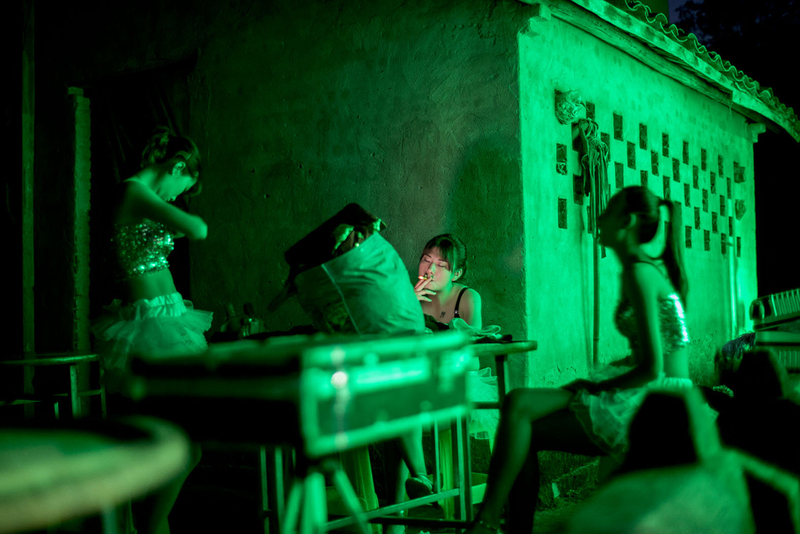 Liangzi waits backstage at a funeral performance, April 4, 2014. She says she enjoys the job not only because it allows her to express herself, but also because of her belief in Buddhism and Taoism. 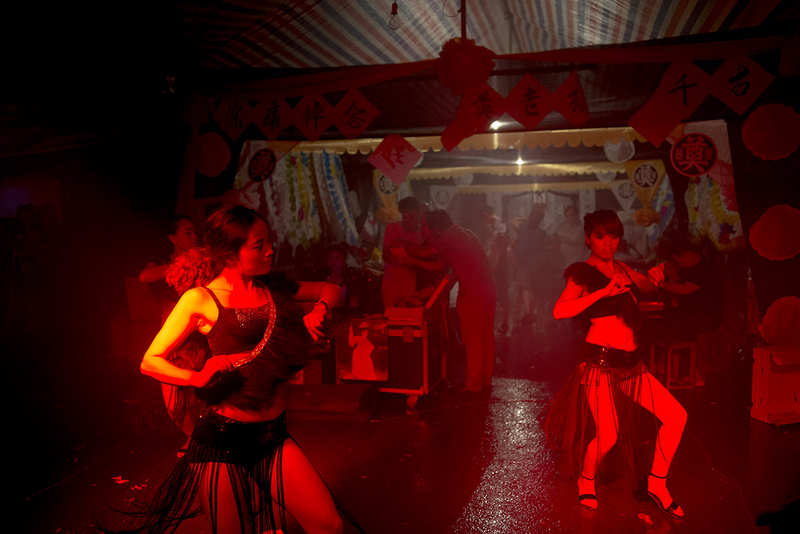 Dancers perform at a funeral in Wanzhou district of Chongqing municipality, July 23, 2014. Dancers wait backstage at a funeral performance, May 26, 2016. Liangzi holds a portrait of a deceased woman and wails, January 28, 2015. 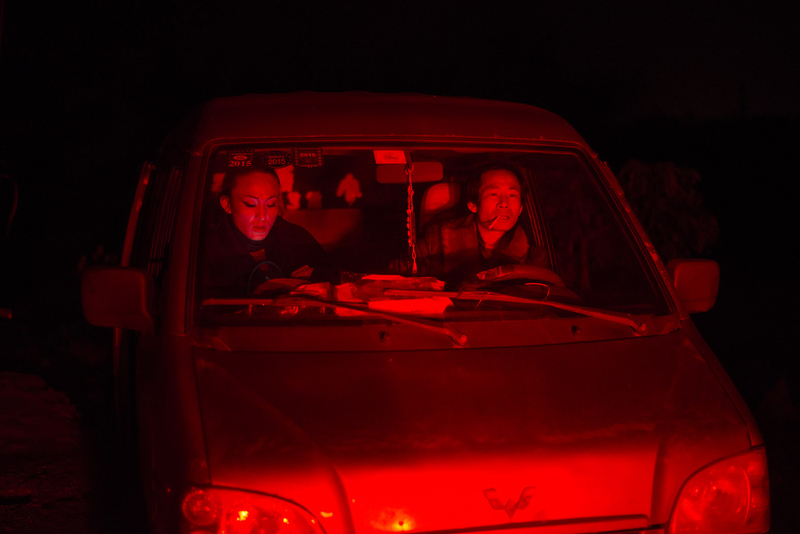 Liangzi counts money in a car after a funeral performance, February 24, 2015. Liangzi performs with other dancers, April 9, 2014. 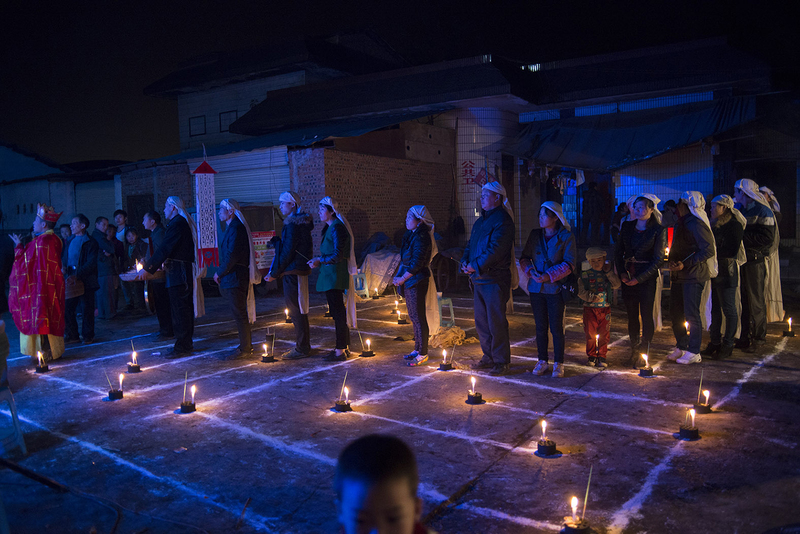 A line of family members holding burning incense follow a monk as a ritual to send the departed onto the path to heaven, November 11, 2014. 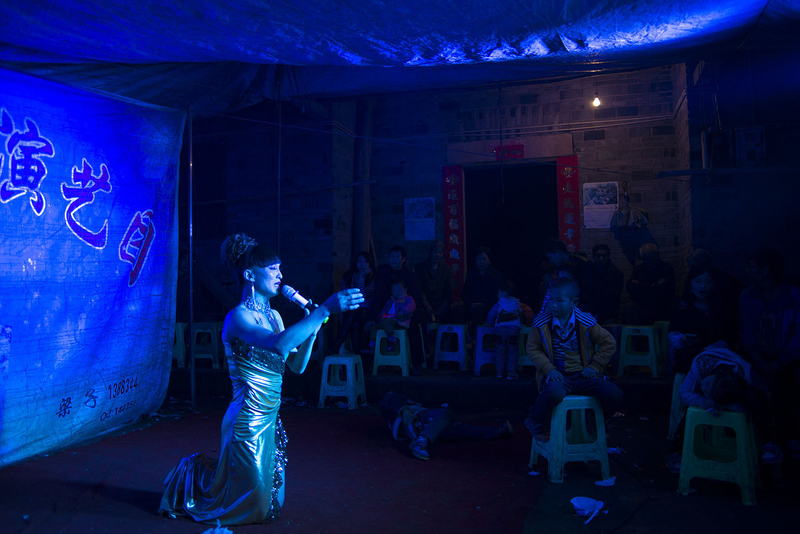 At the end of a funeral ceremony, Liangzi sings a song dedicated to the departed, April 10, 2014. Liangzi walks in front of a coffin, October 28, 2014. 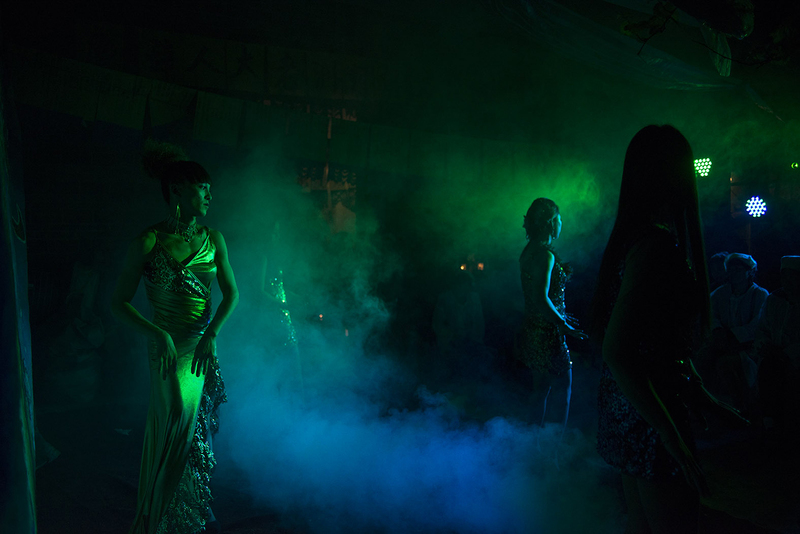 This photo gallery is part of Tomoko Kikuchi’s “Drag Queens for the Dearly Departed,” a project she shot as an Abigail Cohen Fellow in Documentary Photography. Too see the other parts of this project, including an introductory essay by Ian Johnson, click here.